“Do you taper for a 5K?” The answer to this question varies depending on your personal approach to training, your goals and timeline going into a 5K race. Running a 5K may seem like a short distance at only 3.1 miles, but, like any race, it takes mindful preparation to compete well. Before determining if you should taper for a 5K race or not, first, let’s review the definition of taper and what it is in relation to running. 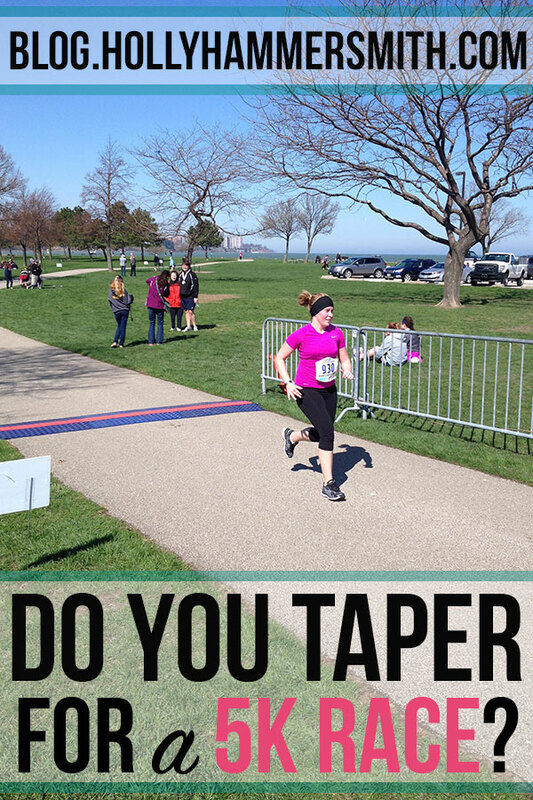 Do You Taper for a 5K? When a runner says they are going to taper, they are slowly reducing their mileage and the intensity of their training in preparation for a specific event, such as a 5K race. Taper allows the muscles to recover and rest prior to peak performance. Taper is not limited to runners. Many competitive athletes taper, including swimmers and cyclists. If you ask me, “Do you taper for a 5K?” my answer is yes. My taper plan for a 5K is to take the day off before the race as a full rest day. I have found I perform best when I rest the day before. If my 5K is on Saturday I will take Friday as a rest day and Thursday will typically be a non-running workout such as strength training, yoga or a group exercise class. My mileage for the week also winds down the closer I am to race day. I will run my hardest and longest mileage early in the week. By Wednesday I am only running about two miles to keep my legs fresh. 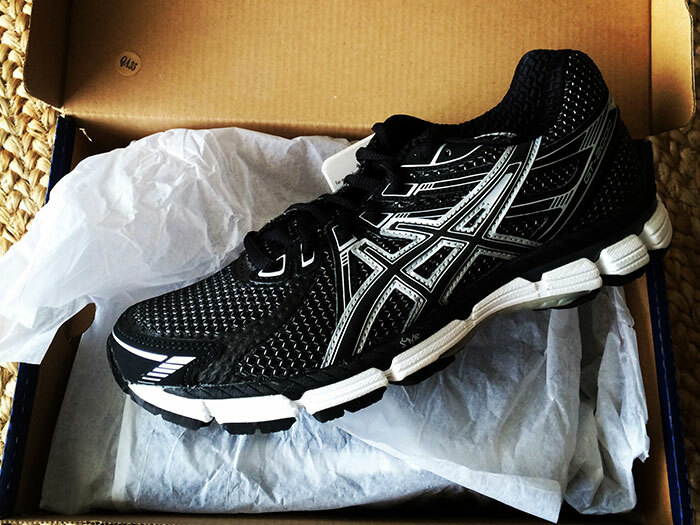 Because I only run up to the half-marathon distance, a 5K is a significant distance for me. If you are an marathoner or ultrarunner, your answer to “Do you taper for a 5K?” may be different. 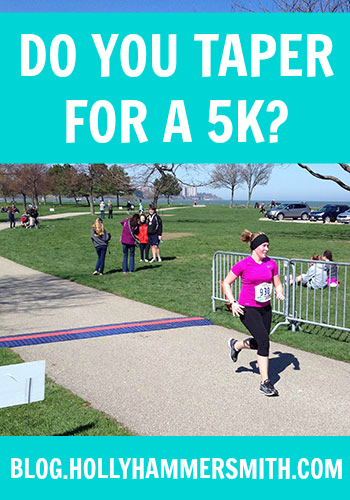 A 5K, in fact, may be a training run or warmup. I know many athletes who run 5Ks for fun and then finish logging their training mileage for the day after the race. They often do this because they are training for a longer race. Another consideration involves your goals for the 5K race. When I run 5Ks, most of time I am running competitively and working toward a PR, therefore, I want to be at peak performance. I do not want to be sore from a workout the day before. I also don’t want to risk any kind of sprain or injury right before my 5K race. If you are running a 5K for fun, you very well may run the day before your 5K and omit taper. One last consideration when figuring out “Do You Taper for a 5K?” is the timing of your 5K. If you are running a 5K this week but you are training heavily to PR at a race say, the following week, you may omit taper for the 5K. Alternately, you may decide to play with your training schedule and move your long run or speed work to a different day to adjust for your goal race. When it comes to running a 5K race, while it may be a shorter distance you can definitely still taper for the race. 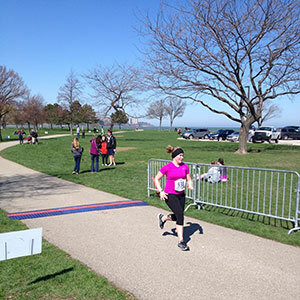 Tapering for a 5K will depend on your personal running goals, fitness journey and preferences. While those who run marathons or longer distances may find tapering for a 5K to be unnecessary, I have personally found tapering for any race to be beneficial to my running performance. How do you prepare for a 5K? I don't like running the day before any race, so I would (personally) take the day off and just do some stretches/abs/yoga…something to loosen up! If your bigger picture goal is to build your mileage and get ready for a long race, then I wouldn't cut your long training run that week. For me, it's always a little more "big picture" view of taper. But what the heck do I know? 🙂 Just do what you feel comfortable with! Hi Holly, I just found your blog, it is great! As far as tapering for a 5K race, I usually don't worry about it too much. That distance doesn't put as much strain on your body as the longer distances do. I do however do a small carb-load the night before (usually pasta of some sort), hydrate and watch what I eat the morning of the race. You will have to find out what works for you. I was reading your older posts and it sounds like your training is going very well! Good luck on your race, you'll have to let us know how it goes! I pretty much take a day off for any race and two off for longer races, but I don't mess with my other planned runs. Last spring I ran a 10 mile race 4 days after a 12 mile long run and PR'd and my "taper" was just two days of not running right before the race. at most you need 3 days to taper for a 5K. Hope it goes well! Thanks for the input everyone. Very valuable info! I think it also really depends on your goal for the race. If you're trying to PR than you might want to taper a bit more. if you just want a good time it probably doesn't matter quite so much. As a cross-country runner in high school, preparing for district: the most important race of the year, should I be tapering down and scaling down the mileage on the last week? Joshua I think you should ask your coach.